An award-winning catering butcher has won a contract to supply 26 Co-operative Stores across Yorkshire. 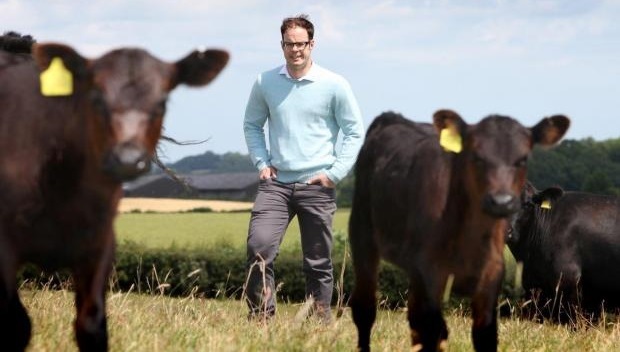 The family run Yorkshire Dales Meat Company, of Bedale, is supplying its handmade beef burgers, rib-eye steak and butter, and sirloin steak and butter to stores from Richmond to Sheffield and Easingwold to Baildon. The company’s sirloin steaks gained national fame when one was at the centre of the “fracas” that led to presenter Jeremy Clarkson’s suspension from the BBC’s Top Gear programme. The deal, which was struck by local sourcing specialist Enterprise Foods, will also boost Yorkshire Cancer Research as the company will donate 10p for every pack of handmade beef burgers sold up until September 27. James Knox, managing director, said: “Listings with the Co-operative Group is fantastic news for the business and for the profile of our ever-growing brand and product offering. “It’s clear that the Co-operative is very much in tune with the current consumer trend towards food provenance and buying quality produce. Kate Jones, head of local sourcing at the Co-operative, said: “Our customers have told us they want to buy local products at their Co-op store and so we have responded by teaming up with more than 50 new Yorkshire suppliers. Yorkshire Dales Meat Company is one of the North’s premier catering butchers. It supplies customers with a wide array of meat sourced from its own farm in Wensleydale and from trusted suppliers that share its commitment to the highest standards of food provenance and passion for great food. Other Co-op stores stocking its products include Bedale, Catterick, Colburn, Guisborough, Leyburn, Masham, Northallerton and Ripon.